Thousands of travelers, who tried to beat the holiday rush on I-95, were stuck in bumper-to-bumper traffic for hours this afternoon after a crash involving two tractor trailers. The holiday weekend got off to a rough start in Milford. Thousands of travelers, who tried to beat the holiday rush on I-95, were stuck in bumper-to-bumper traffic for hours this afternoon after a crash involving two tractor trailers. State police closed the northbound side of the highway near exit 35 following the 12:30PM crash. Police say they called in hazmat when they realized the Advanced Auto Parts truck was carrying car batteries, antifreeze and motor oil. Meanwhile on side streets, cars were at a stand still and Memorial Day weekend plans were on hold. “It usually takes me 5 minutes to get home and it took me an hour and a half, basically stuck in traffic,” says Jolanda Acevedo who lives on US-1 near I-95. State police re-opened all lanes after rush hour but with thousands on the road at that point, Jane Grasso from Long Island says the damage was done. No on e was hurt in the accident but with the amount of people on the road there is really no telling how many people it affected. 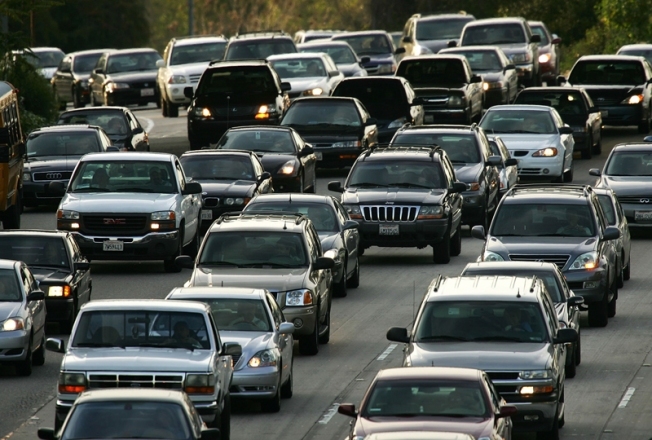 AAA estimates 32 point 4 million people hit the road this holiday weekend.